Shelbie Press is committed to the environment and offers a variety of RECYCLED paper products which were developed utilizing eco-conscious methods including wind energy, carbon neutral methods and vendors who follow sustainability guidelines with the incorporation of recycled content. We also incorporate the use of eco-friendly soy-based inks and solvents in our production which emit very low traces of (VOCS) volatile organic compounds. 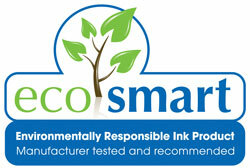 The appropriate paper choice can reduce waste, lower greenhouse gas emissions, and support renewable energy projects. In our continued commitment to the environment, we take every opportunity to offer our customers environmentally conscious and friendly solutions while retaining a high degree of quality. Forest Stewardship Council (FSC) Recycled papers are certified post-consumer fiber, ensuring no new trees were used; Forest Stewardship Council (FSC) Mixed sources papers support the development of responsible forest management worldwide; and Green Seal certified papers meet the Executive Order/EPA guidelines on recycled content and certifies that mill processes, including packaging, are environmentally preferable and (PCF) made with sustainable raw materials and without the use of chlorine chemistry.